We don't have much Italian wine in our cellar, less than 1%. But when I was seeking a nice bottle to accompany our Angeli's Italian dinner carry out, I pulled this classic decade year old Italian red blend of which I hold a half dozen bottles. 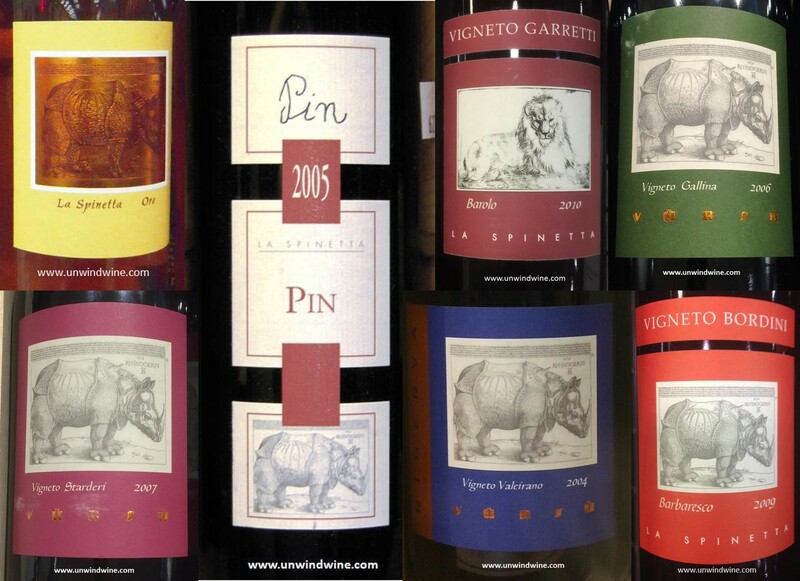 La Spinetta produce a line of premium Piedmont and Tuscan wines from traditional varietals in a new world style and flair. This 'Pin' label is named after the nickname of Giuseppe Rivetti, the patriarch of the family and father of the current producer Giorgio, of the estate La Spinetta, which means 'top of the hill', in Castagnole Lanze in the northern Italian region of Tuscany. The family first purchased 70 hectares of Moscato and Barbera d'Asti vineyards in 1977 and have continued to expand operations through expansion and development since. Today, Giuseppe's children — Carlo, Bruno, Giorgio and Giovanna have since taken over the family business, with Giorgio leading, assisted by elder sister Giovanna who is in charge of vineyard production. Rivetti produced their first red Barbera Cà di Pian in 1985. The first release of Pin occurred in 1989, a blend of 50 percent Nebbiolo, 25 percent Barbera and 25 percent Cabernet Sauvignon. which was revolutionary at that time. In 1985 they produced their first Barbaresco followed by Gallina in 1995 and their first Barolo Campè in 2000. In 2001, La Spinetta acquired 65 additional hectares of vineyards in Tuscany where today they produce three different 100% Sangiovese wines. 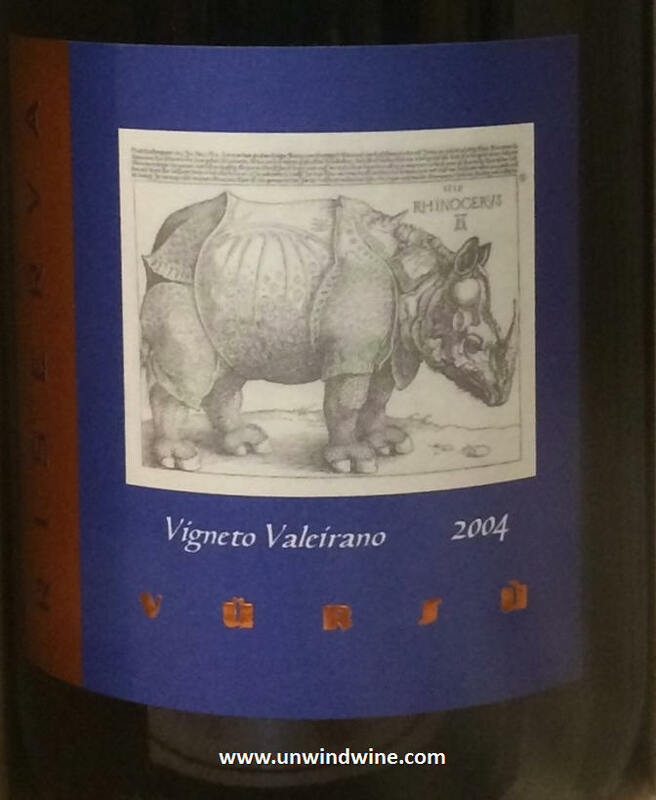 The Rivetti brand has grown internationally and today is well known, identified by their distinctive labels featuring a burly rhinoceros, which the Rivetti siblings say signifies quality. Origins of the unique wildlife logo illustration come from an ancient woodcut by historic German artist, Albrecht Dürer, who prepared his drawings and woodcut from descriptions and sketches of a rhinoceros gifted to the king of Portugal from India. It was the first animal of its kind in Europe. The Rivettis lament that they fell in love with this ancient wood cut print and the legend behind it. Giorgio Rivetti expressed his great admiration of the celebrated drawing and woodcut. but has downplayed the connection between this animal and the brand. 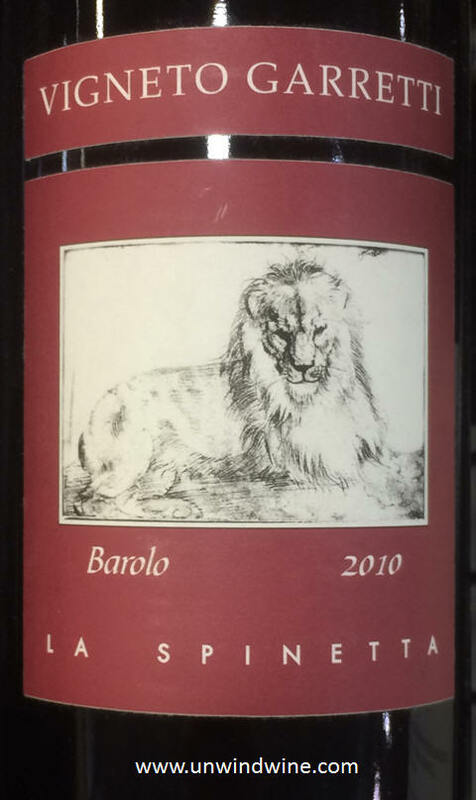 Also depicted on the bottles of La Spinetta’s first Barolo Campè vintage, is a pencil drawing of a lion by Dürer, since Barolo is commonly known as the king of Italian reds. The legend continues. This is a blend of 65% Nebbiolo, and 35% Barbera d’Asti Superiore Bionzo. Barbera and Nebbiolo are the two marquee red wine grapes of northwest Italy. They are often blended together in Piedmont to create modern style wines for the international palate. Nebbiolo, the powerful majestic grape of Barolo and Barbaresco, is blended with Barbera to be more approachable and smoother and balanced, and drinkable at an earlier age. Barbera adds cherry flavors to Nebbiolo’s distinctive strawberry, and the high acidity of both ensure the wine is fresh and rarely flabby. As good as this was with the pasta and peas with vodka cream sauce, it was even better the following evening with char-grilled Pittsburgh style strip steak, asparagus and baked potato. This was dark blackish garnet colored, medium to full bodied, and was remarkably smooth, well balanced and polished. Bouquet and flavors are full forward complex black raspberry, black berry fruits punctuated by tones of oak, cedar, hints of earthy cassis and tar turning to silky smooth polished tannins with an elegant persistent finish.